We recently saw the launch of the Bristol Pound. In this blog we thought we’d offer two perspectives, one from Michael Sanders outlining the challenges of community currencies and one from Susan Steed, one of the co-founders of the Brixton Pound outlining their potential benefits. Bolstering communities, saving the environment, boosting employment and making us all wealthier and society more equal, local currencies have a lot to live up to if their supporters are to be proven correct. Bristol’s newly minted currency joins a raft of others across the UK, and it certainly appears that this is an idea whose time has come – but how do local currencies stack up against the claims made about them? The good news is that areas with local currencies are more affluent than those without them. Unfortunately, this seems to be a result of local currencies failing in poor areas and surviving in affluent ones – places where, one might argue, they are less needed. In the little robust economic research that exists in this area, Krohn & Snyder (2007) find no evidence of any economic benefits. By imposing restrictions on trade, even just psychological ones in the form of a weak commitment device, we limit the number of beneficial exchanges that can take place – although this may be good for the people with whom one is forced to trade, it is necessarily worse for those from further afield. These two observations – that protectionism will tend to beggar one’s neighbour and that local currencies seem mainly to survive in affluent areas, suggests that the rich or middle class benefit at the expense of the poor. As for the sociological benefits, which seem plausible, if likely to be endogenous, the benefits of these will be felt by those least in need of them – both social trust (vital to community cohesion), and wellbeinglivepage.apple.com, are highly socially graded. These questions may be answered with a carefully designed evaluation, and the power of commitment devices and mental accounting has been shown to be strong in the past. More macro-level claims, such as the environmental benefits, are probably unverifiable. Nonetheless, the claims appear naive, ignoring, for all the talk of community and togetherness, the evidence found in history that humanity’s greatest achievements are found when we engage with others, either collaboratively or competitively, but most often both – the market for personal computers could not have been sustained by a local hardware store in Seattle, and the people of Wapokoneta, Ohio did not put Neil Armstrong on the moon alone. Complimentary currencies exist to speed the flow of money around a local area, increasing the rate at which goods and services which exist locally are exchanged, and producing local economic well-being. Increasing the velocity of money locally does not represent a drain on the wider economy, or suggest that all goods and services should be relocalized; everybody could use local currencies, and still have national and global systems of exchange. Bernard Lietaer suggests that local currencies enable trade which cannot always happen in national currencies because of their unique features. For example, the Bristol Pound (£B) uses innovations in technology so you can pay quickly by text, something you can’t yet do with ‘normal’ pounds. This is an innovation that might become common in Sterling in time (“texting money” is big in Africa) but for now the closest the big banks can do is Barclays Pingit. But that needs a smart phone to send payments, where £B works with any basic mobile. Now traders don’t need to hire a credit card machine to make payments, or pay Visa’s cut of every transaction. For some purposes, the £B is better money than Sterling! The £B is also about getting people to think about where they spend their money, where it goes and who benefits from it. Bristol are breaking new ground being the first local currency in the UK which you can bank with the credit union. Behavioral economics shows us that people need all the help they can get acting in their own long term best interests, and a local currency is a constant reminder of other local efforts like credit unions. In Lambeth we’re part of a wider European project to evaluate whether local currencies do change people’s behavior. A local economy is about more than local currency, but a currency is a good connector. The £B has a chain effect. Using the currency means businesses are committing to understanding where they respend their money. In Brixton we have found that the currency accelerates the growth of new enterprises by fostering tighter connections between businesses using the currency. Brixton pounds can now buy a share in locally produced energy, organic vegetables grown on a inner-city estate, or get your shopping delivered by a bicycle powered delivery service. We’re not anticipating a Brixton Mac to come off production lines soon, but Brixton has a thriving computer repair social enterprise that repairs systems in exchange for Brixton Pounds, and picks up businesses looking for a business-to-business use for their local money. For me personally, the most interesting thing about local currencies is thinking about where the goods and resources that sustain my lifestyle come from, who produces them and what the real costs are. Modern technology means there are goods and services that we can consume and connect with globally, but other things that it makes more sense to produce closer to home. It’s not about one or the other but getting the right balance between the two. In hard times, young people face two hurdles to finding work. First, firms tend to hold onto their existing experienced staff but stop recruitment to reduce their workforce. This collapse in new vacancies hits young people hardest. Second, with more unemployment comes more choice of potential employees for firms who are hiring. Firms favour previous experience placing young people in a catch 22 situation of not being able to get the experience they need to get work because they can’t get the work in the first place. For the least educated or those who are unlucky enough to experience long periods out of work now, it is increasingly hard to get that break that opens the door to the labour market. As the number of youths who are out of work continues to rise the exchequer is left counting the cost. Each 16-17 year old in receipt of benefits costs an average of £3,660 a year whilst each unemployed 18-24 year old who claims costs an average of £5,600 a year. Even though many young people don’t claim benefits, just 19% of 16-17 year olds not in education or employment and 65% of 18-24 year olds with the sheer number of young people out of work, plus the additional tax and NI revenue lost through the lack of earnings, the numbers are non-negligible. In total, the current cost of youth unemployment to the exchequer is £5.3 billion per year. The productivity loss to the economy, often calculated as the wage foregone to measure the output lost, is £10.7 billion. The large numbers not claiming benefits and the low value of benefits relative to potential earnings makes an important point that work incentives are very strong for this group. On top of these current costs, there are also long-term scars to youth unemployment in the form of future unemployment spells and lower wages. We can see from previous generations’ experiences of youth unemployment that the longer the period spent out of work in youth, the more time spent out of work later in life and the lower potential wages were when in work. This evidence on the future costs of youth unemployment comes from two UK birth cohorts that track all babies born in a window for the rest of their lives. By chance, the participants in the first cohort were aged 21 when the 1980s recession hit and in the second cohort, the participants were aged 20 when the 1990s recession hit. Around one in five young people in the first cohort spent over 6 months out of work before age 23, and it was similar in the second. Furthermore these people spent about 20% of their time unemployed 5 years later and 15% even 12 years later. For males in the second birth cohort, an extra month out of work before age 25 raised the proportion of time out of work between age 26 and 30 by three quarter of a per cent; an extra year out of work in youth led to 10 months more unemployment later in life. It is a very similar story for wages with an extra month unemployed when young associated with 1% lower wages in their early thirties. It’s possible that these legacies may not reflect just the pure effect of youth unemployment but also that those experiencing more unemployment are less well educated and come from deprived backgrounds. The great advantage of the birth cohort studies is that so much is known about the young person’s childhood from their education to their attitudes and beliefs, their health, their wider circumstances and almost as much is known about their parents. The evidence suggests that about half of the later lower wages and higher unemployment exposure stems from these background differences between people and about half is a result of the unemployment itself. The cost to the individual’s future is therefore large. However, it doesn’t end there. There is also a future cost to the public purse in terms of future benefit claims and tax revenues lost from lower earnings as a result of this scarring. Estimates from the second birth cohort suggest that the average unemployed young man will cost the exchequer a further £2,900 in future costs with the average unemployed young woman costing £2,300 a year. Aggregating these up in the context of the current youth unemployment crisis leads to further future costs to the exchequer of £2.9 billion. The future productivity losses in terms of output lost are estimated to be £6.7 billion. If we add the exchequer costs together to give the combined future and current costs of youth unemployment (discounted to adjust future costs to be equivalent to today’s) the total cost to the exchequer is therefore £28 billion. These numbers suggest that doing nothing about youth unemployment is and will continue to cost us dear. Chris Grayling, the Employment minister, firmly laid the blame for the rapid rise in unemployment in yesterday’s figures on the Euro-zone crisis. This argument is so obviously bogus, it is disappointing for a minister to be using this as a line of defence. 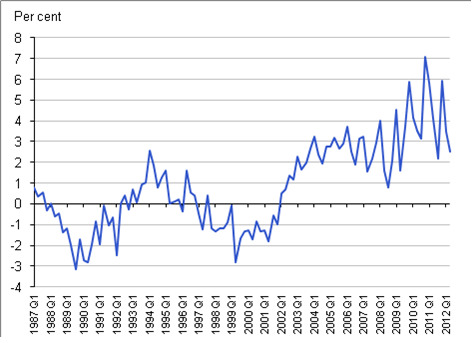 However, the labour market figures are not as bleak as the headlines suggest. The effects of the Euro-zone crisis will hit us over the next six months, not the last, and the minister should have kept his powder dry as he’ll need this excuse in the coming months. The argument presented is; the Labour Force Survey (LFS), which is the main data source on the labour market, showed a growth in employment until June, after which it appeared to go off a cliff with employment falling 190,000 in the three months leading up to September. The problems with this argument are threefold. First, the Euro-zone crisis broke in July and the performance of the UK economy since then has been the best in a year; a point made by the latest retail sales figures which show very healthy growth in September and October. 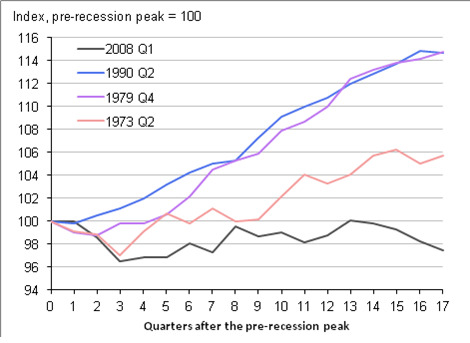 So far rather than the Euro-zone crisis damaging growth we have been doing rather well. The danger lies in the future not the recent past. Second, employment and unemployment figures are driven by decisions made by firms, and it takes about three to four months for this to be seen in the data. For example, the latest data from September 2011 reflects the state of the economy in May-June rather than prior to the crisis. Finally, the LFS is only one of four data sources about the health of the labour market. Over the big sweep of boom and bust events, these track each other well, but on the specifics of timing there can be wobbles in any one of the series; looking at the set offers a better picture. In addition, the LFS have a survey of employment from employers, a survey of current vacancies and the count of all those claiming unemployment benefits. The last two offer the most up to date picture, but the LFS and employer survey are more comprehensive. All three indicators, other than the LFS, suggest that employment started to fall and unemployment started to rise in February or March this year. The claimant count bottomed out at 1.45 million in February and has risen every month since at a steady rate of 20,000 a month or so. Vacancies currently offered by employers almost reached 500,000 in January before slipping back to 460,000 since May; a level consistent with low levels of net job losses. The employer’s survey only runs to June at the moment but says that employment peaked at 26.7 million in March and fell by 100,000 by June. The LFS clearly looks like it mistimed the move back to job shedding by three months; this happens quite often but rarely matters much. The broader data clearly shows two things. First, that the labour market downturn precedes the Euro-crisis by some months and is totally in line with the downturn in UK economic growth, which started in November last year. Second, that the employment shedding and unemployment rise has been pretty constant since March, rather than a recent collapse. Both of these stories are clearly at odds with the Euro story. But the rub is that the evidence suggests the latest sharp rise in unemployment in the LFS is a catch up from previously understating the rise. The labour market hasn’t, yet, gone off a cliff. Indeed the healthy growth and small rise in the claimant count may say things were improving a little as the Euro-crisis broke. So the overwhelming picture is that the current sharp rise in unemployment isn’t driven by the Euro-crisis but is also not as sharp as it first appears. The Euro-crisis excuse may well be needed, and be genuine, from March next year when the picture around January starts to emerge. But for the latest figures it is entirely bogus and also misses the deeper picture. Department for Work and Pensions figures released this week suggest that only 7% of applicants for the new disability benefit, Employment Support Allowance (ESA), during the two years since its inception, are found unfit for work. The implicit suggestion is that the previous regime was widely abused by ‘scroungers and malingerers’. Yet the total number of claims for disability related workless benefits is almost exactly the same, at 2.6 million, in the latest data (November 2010) as it was in 2008, when the new benefit started. Even among claims less than two years old and hence all assessed under the new regime there are 640,000 claimants, which is exactly the same as in 2008. So, how can the impression of a big crackdown on claims under the new test, and the absence of any decline in numbers claiming be reconciled? The answer is three fold. Firstly, although only 7% of new applicants go on to be deemed unfit for work, another 17% are eligible for ESA, but deemed that with the correct support and improvements in health they may get back into work. ‘May’ being the important word here. I designed the structure of support for this group under the ‘Work Related Activity Group’ banner, which will be delivered under the new Work Programme. How successful it will be is yet to be demonstrated. So, 24% of new claims go on to be eligible for ESA, not 7%. The second key point is that a large number of applicants never got onto Incapacity Benefits (IB), the forerunner of ESA, either. Some people simply got better before the assessment phase was completed and so never got tested, or were denied access through the test applied at the time. People start a claim for disability related benefits but begin in an assessment phase, during which they receive the same benefits as they would for unemployment. It is only after this is completed, at around 13 weeks, that the recipient receives the eligibility decision as to whether they move on to the full ESA benefit. A lot of people withdraw before the test occurs and always have; 36% of applicants in the new figures. A useful guide to this would be what proportion of claims under 13 weeks go onto the main benefit. However, as so many claims go to appeal, during which time people remain as though they are still in the assessment phase, a better picture emerges after 6 months. The figure below highlights the survival rates for claims before and after the new ESA regime was introduced in late 2008. It shows the proportion of claims under 13 weeks old, and hence in the assessment phase, which are still live a further 3 months, 6 months and so on after their commencement. After 3 months some 72% of applicant’s claims are still live and after 6 months this falls to 50%. Of key importance here is that this was around 80% and 60% respectively under IB pre-October 2008. 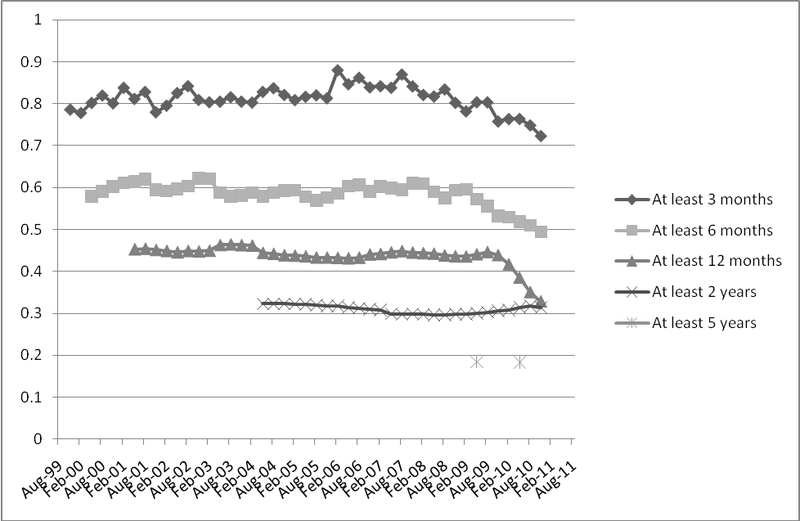 Hence, ESA has reduced the numbers of applicants reaching at least 6 months duration by 10%, and this appears to persist through to the longest duration data we have. So the new regime is leading to around 10% fewer people, after the appeals process is completed, being passed as eligible for ESA. A story far removed from just 7% being found unfit for work. The third reason this has not had any effect on the total number of claims under 2 years duration, and thus assessed under the new test, is that the total number of new claims has risen from around 130,000 per quarter in 2008 to around 160,000 now. This is almost certainly as a result of the recession but past experience suggests it will take quite a long time to abate fully. So, between 1 and 2 years duration we now have the first quarter of data that is fully under the new regime. After all the assessment and appeals have been completed we can derive that the number of claims has fallen to 206,000 from about 235,000 prior to the reform. This is around 12% lower, but this is currently offset by shorter duration claims. As time progresses and the impact of the recession diminishes the new ESA tests will make a clearer difference to the total number of claims. However, it will be a long time before this is very visible. What will be more important over the next 3 years will be the re-testing of existing IB claimants, as well as the removal of eligibility to ESA for those claiming for more than 1 year and who are not eligible for means tested benefits. Two high profile commentators, Stephanie Flanders of BBC and Chris Giles of the FT have noted the paradox of a stagnant economy as measured by GDP growth co-existing with an apparently booming labour market. The GDP numbers suggest that over the 6 months to March the economy registered no economic growth, but the Labour Force Survey for the 3 months to March says we added 80,000 jobs and the employer-based survey a whopping 120,000 in the same period. This disconnect between growth and jobs was also apparent through the recession. The recession was the worst since the Great Depression but the numbers of jobs lost was very modest compared to that in the lighter recessions of the early 80s and 90s (see Figure). Just 2% of jobs were lost compared to 6% previously. 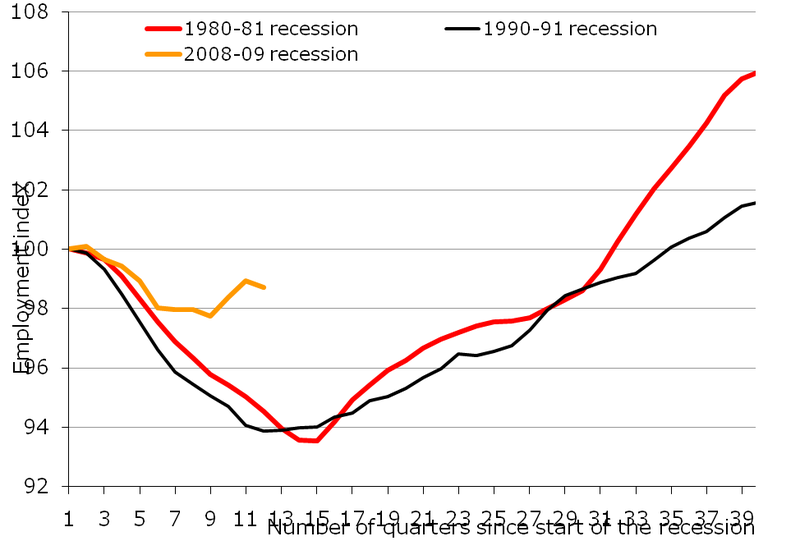 This labour hoarding through the recession appeared to be related to high profitability of firms prior to the recession and a maintenance of consumer spending through radical cuts in interest and VAT rates. But it raised the prospect that firms would have the potential to raise output without new workers as productivity recovered to pre-recession levels. This didn’t happen so that once growth started in late 2009 employment responded very quickly – no jobless recovery here. So the current apparent paradox could either be just a statistical anomaly that will be reversed soon or perhaps a sign of a deeper issue that Britain can create jobs easily but at the cost of slow or non-existent productivity increases, which will knock on to slow or non-existent real wage rises until unemployment is reduced substantially. The first point of view is supported by other labour market data. The claimant count has been rising since February and at an increasingly rapid rate and vacancy levels falling since December. The rise in the claimant count has come about through a decline in numbers leaving, as is normal when vacancies dry up, rather than more new claims. 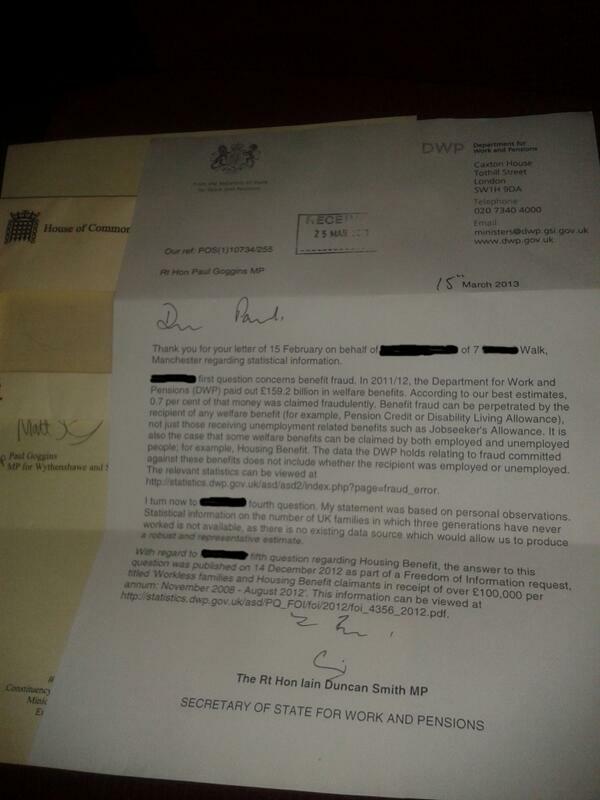 This rise therefore cannot be attributed to moving people from lone parent of sickness benefits on to JSA. So there might just be a rather longer lag between the growth soft patch, as Mervyn King calls it, starting and jobs growth halting, than we have seen of late. The alternative view that we are seeing UK productivity stuck in a morass, also has merit. High unemployment is suppressing wage growth, so that it is becoming cheaper, even against price rises UK producers are securing for their output. The recession was particularly centred on a collapse in company investment and the stasis in the banking system means UK firms are still struggling to raise capital for investment. The norm used to be that almost 2% growth was need to keep employment level, as productivity rose and growth of 2.5% before unemployment fell as below that job creation only matched population growth. With so much labour to absorb in terms of a growing population, in-migration and a remarkable increase in working among people beyond normal retirement age, it is astounding unemployment has fallen over the last 6 months at the rate it has. So whilst the labour market is in all probability softening now and employment is likely to stop growing, we seem to be generating jobs with just 1% annual growth rates, which is good news in terms of unemployment but it implies that poor growth is hitting productivity more than jobs, which in turn means the prospects for a return to rising living standards in the UK may be a long way off.